Complete National Strategy for Disaster Resilience documents can be downloaded from here. See also Links and Videos from the Resources tab above. ACMI has lots of resources to help you make your video. On the ACMI generator site you can learn about film-making, be inspired by other people's work, use the storyboard generator and download COPYRIGHT-FREE video, images and audio to use in your own video. 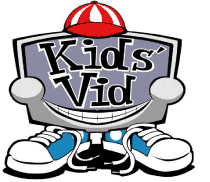 KidsVid has tips on scripting, making, editing and showing your video. Using Creative Commons (CC) licenced material means you do not have to get permission from the copyright owner to use the images or music or video in your own work. All CC licenses require users to attribute the original creator(s) of a work - this means acknowledging the creator in the credits of your video. Flickr is a great source of Creative Commons images and there are several tools which will let you search Flickr for CC images. FlickrCC:– enter a tag to search for and it will return a load thumbnails. Click on a thumbnail to see more information and to visit the original page on Flickr. everystockphoto a search engine for free photos. These come from many sources and are license-specific. You can view a photo's license by clicking on the license icon, below and left of photos. Membership is free and allows you to rate, tag, collect and comment on photos. Ookaboo has free stock images available for download. As you locate images you will also find all the information needed to correctly attribute the image. Pixabay You can freely use any image from this website in digital and printed format, for personal and commercial use, without attribution requirement to the original author. Wylio allows you to download up to 5 images a month for free. The downloaded images include the appropriate attribution on the actual image. You need a Google account to use this service. Openclipart is original royalty free clipart, Images, Graphics, Templates, Icons, for unlimited commercial use on posters, presentations, greeting cards, coloring books illustrations, and design. Incompetech has a great range of music which is available for free download and use under a Creative Commons licence. Each piece is well-described with genre, feel, instruments, length and tempo (speed).